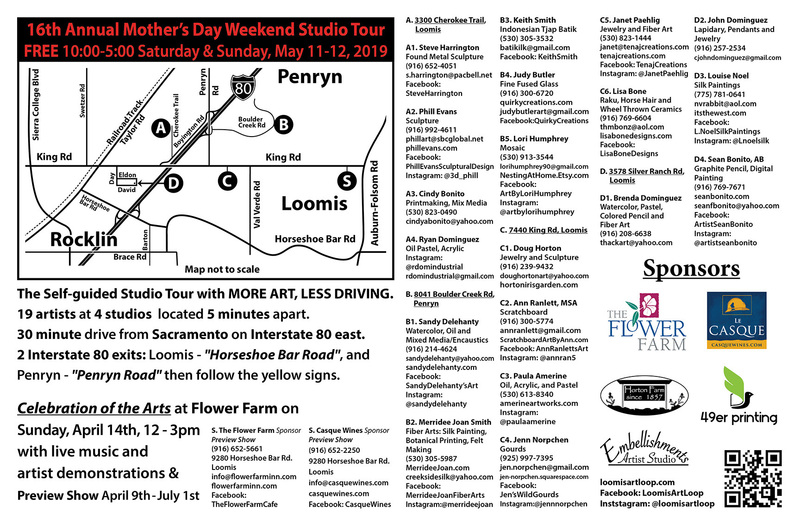 News | Loomis Art Loop | Spring in the Loomis Basin – A Showcase for Art! Thanks to the new All Things Loomis web site for including a link to the Loop in their “Art & Culture” section! A preview show of the Loop artists’ work runs April 10th – May 30th. Art will be on display in the café and Casque Wines tasting room. On April 14, from noon to 3:00 pm, meet many of the Loop artists at the “Celebration of the Arts”. Visitors can watch artists demonstrate their techniques, order freshly made food from the Flower Farm café, and taste wine at Casque Wines. 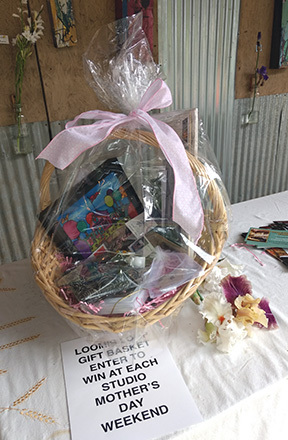 Each visitor to the Loop on Mother’s Day Weekend has up to 4 chances to win our lovely gift basket! The basket includes samples of art from all 17 of our artists. 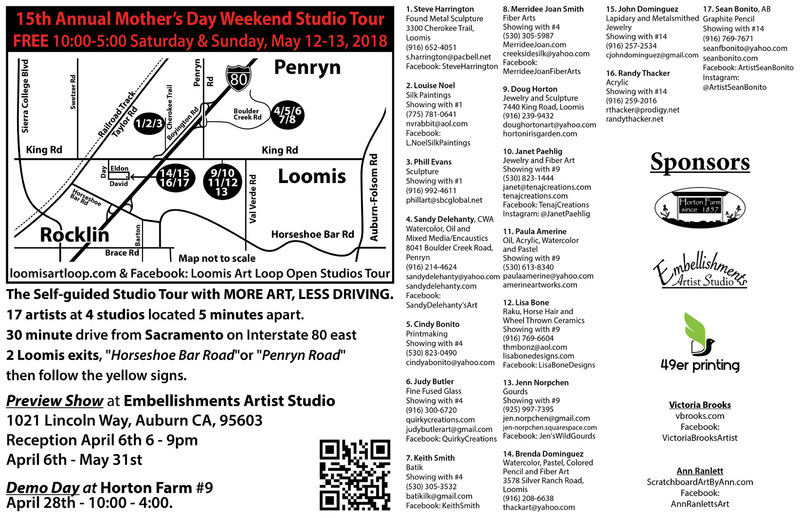 You may fill out one entry form at each of the 4 studio locations on our tour. Each visitor to the Loop this weekend has up to 6 chances to win our lovely gift basket! The basket includes samples of art from all 17 of our artists. You may fill out one form at each of the 6 studio locations on our tour.